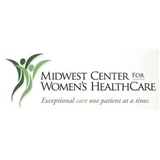 Midwest Center for Women's Healthcare (Buffalo Grove) - Book Appointment Online! The physicians of MCWHC are very well established in the communities of Chicago’s North Shore and the surrounding suburbs, and many have treated several generations of patients within the same family. While we’re big enough to offer you the most advanced level of care, we’re small enough to know your name. Our cornerstone philosophy – “exceptional care one patient at a time” – reflects our promise to providing the highest quality of care and service in a positive and secure. As an MCWHC patient, you receive your care from the physician or practitioner you choose in the location most convenient for you. That allows you and your physician to develop the kind of close partnership that we think is essential to good healthcare.